I'm a new student. When will I know my room assignment for the fall? Housing assignments are mailed to new students in early August. The information provided will include the residence hall, room number, Personal MailBox number and the name, email address and phone number of roommate, if applicable. To safeguard students’ privacy, housing assignment information is not available by phone. First-year move-in for the Class of 2022 will be Saturday, August 18, 2018. First-year students will be assigned specific times between 7:00 AM – 12:00 PM to move in. Detailed move-in instructions and specific move-in times will be sent to students with their room assignment letters mailed on or about August 1. Move-in for transfer students will Friday, August 17. Transfer students will be assigned specific times to move in. Detailed move-in instructions and specific move-in times will be sent to transfer students with their room assignment letters. University policy requires that all students, faculty and staff who operate vehicles on campus, register them with the office of Parking Services. First-year students are not permitted to park vehicles on campus. A variety of reserved- and permit-parking options are available for upperclassmen. For more information, call the parking office at 615/322-2554 or email parking@vanderbilt.edu. What transportation is available to and from the campus? Students can travel to/from campus by cab, shuttle service, or by public transportation. Average taxi fare between the airport and University area is approximately $25 (approximately 20 minutes driving time). Shuttle service information can be obtained from the airport or near-by motels/hotels. Various student groups sponsor a shuttle service during holiday breaks. The Metropolitan Transit Service will mail bus schedules for public transportation to and from the University area by calling 615-862-5950. For information concerning room furnishings in various residence halls, please select the name of the residence hall at the Our Residence Halls! page. We do not recommend bringing any extra furniture until you survey your assigned space. University furniture may not be removed from student rooms, so furniture you bring will have to share space in your room with University furniture. Many students find that refrigerators, TVs, stereos, etc., take up more space than they thought. If a roommate is involved, it is best to confirm what space his or her belongings require. Is there anything else I shouldn't bring to campus? Are vacuum cleaners, mops, brooms or cleaning materials provided? A vacuum cleaner will be available for check-out at the reception desk. Housekeeping provides trash bags; no other cleaning materials are supplied. Housekeeping services are provided for suite and common area bathrooms. Are ironing boards and irons provided in the laundry area? Yes. Shower curtains are provided in private bathrooms; common area bathrooms may have shower curtains or doors. Limited storage is available in some residence halls on a first-come, first-served basis. Each student is limited to two items. Consider using luggage, trunks, or trash cans (plastic or galvanized that you can secure with a chain and lock) for storage. Fire regulations prevent the storage of cardboard containers such as computer or speaker boxes. These items may not be stored before a student’s arrival in the fall. No. Student rooms in all Ingram Commons houses have solid surface flooring. Corridors and some common areas are carpeted. What are the colors of paint, wall-covering, and blinds? In student rooms, paint, wall covering, and mini-blinds tend to be neutral in color, ranging from beige to tan. Nothing is white. What about cable TV service? Is there an outlet for cable TV? TeleVU, the university’s cable TV network, is available through a hard-wired jack in each single room, double room, and apartment on campus. How can we best set up a computer and still have study space? While most students bring a laptop, desks can generally support a tower or all-in-one computer. The University Book Store is familiar with residence hall furnishings and can help students arrange their study/work space. Printers are not recommended. Vanderbilt provides networked printers in the Commons houses and across campus for student use through the VUprint pay-for-print service. How can we hook a computer up to the campus network? The Residential Computing Network (ResNet) is available in all residence halls. Wireless service is provided to all rooms and many common areas. In addition, all rooms are equipped with hard-wired network jacks. 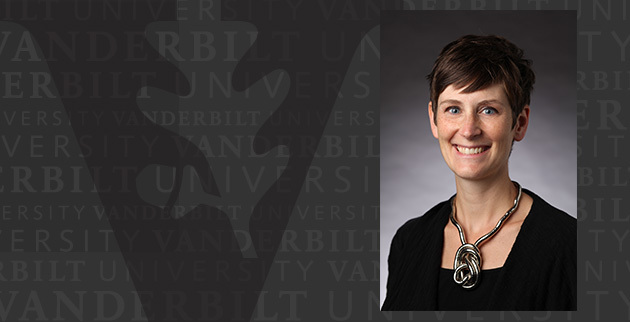 To learn more about ResNet, including information about the minimum technical requirements of the system and instructional services, visit http://www.vanderbilt.edu/resnet, e-mail resnet@vanderbilt.edu, or call the ResNet Information Line at (888) 310-6466. What will be the dimensions of my mattress? The mattresses provided in University residence halls measure 36″ in width and 78″ in length. Twin sheets will fit on these mattresses. I would like to change my room assignment. What can I do? two weeks after the beginning of classes, students may request room changes. A student seeking a room change should schedule a meeting with the Area Coordinator responsible for his, her, or their residence hall at that time. During normal business hours, contact the Area Maintenance Supervisor (AMS) using the Maintenance Request Form in the Student Housing Portal. Report routine maintenance requests to the AMS to be addressed the following business day, using the Maintenance Request Form in the Student Housing Portal. Immediately report to residential staff in your area issues that endanger health, safety, or the building structure. To whom can I turn for help or advice? Students with problems or questions often turn to their resident advisers (RA) or head residents (HR) for help. A resident adviser is assigned to each student. Resident advisers are students who live in the residence halls and who have been specially trained to provide appropriate assistance to other residents. All resident advisers are supervised by a head resident and one of eight Area Coordinators (ACs). ACs live on campus and are cell phone equipped 24 hours per day, seven days a week. In addition, the Dean of Students lives on the campus. At any hour of the day or night, there will always be a staff member available to help you by providing information, advice, counsel, referral or assistance in emergencies. Does Vanderbilt have a laundry or dry cleaning pick-up/delivery service? Yes. Self-service laundry facilities are located in each of the eight residential areas. Washers and dryers in these laundries accept payment via the Commodore Card and coins. Dry cleaning and bundled laundry service is also available on campus. Information about the service is available at VanLaundry. How can I ship boxes by UPS or U.S. Mail to campus? Please visit Vanderbilt Mail Services for all questions pertaining to mail. Call Station B Post Office at 615-322-2934 for more information or if your have questions. Is it necessary to have a bank account in Nashville? No, but representatives from local banks are present on campus during the first few days of orientation to assist students with their banking needs. It is advisable to seek assistance from your home bank representative about what services they may provide while considering an account at home or in Nashville (bank card fees, transferring funds from your account to student, etc). Two banks, Sun Trust (888-390-BANK) and Regions Bank (800-342-8240) have offered toll free numbers for inquiries about their services. 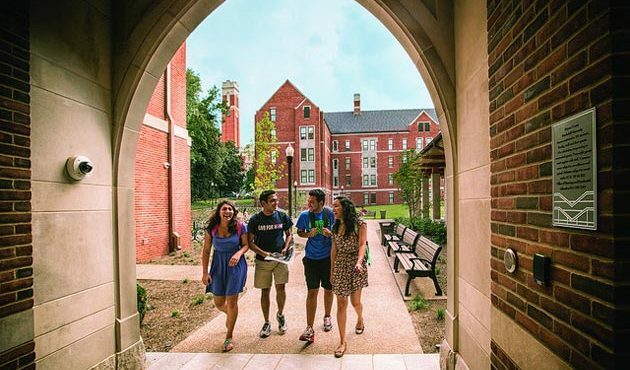 ATMs are located at Sarratt Student Center, Hill Student Center, Music Rehearsal Hall(drive-thru), Branscomb Quadrangle, The Vanderbilt Clinic and Medical Center North. Sun Trust and Regions have full service branches within walking distance of campus.